If you run a small or mid-size medical practice, you can be forgiven for not staying ahead of medical technology trends. It takes more than enough resources just to manage a business while delivering exceptional patient care. But there’s one process improvement that will save you boatloads of time and money in the long run–and doesn’t take an IT department to figure out how to set up: online forms. Paper forms are not only a nightmare to maintain, but they’re unpleasant for your patients to fill out. Yet, they are still a staple at healthcare clinics around the country. 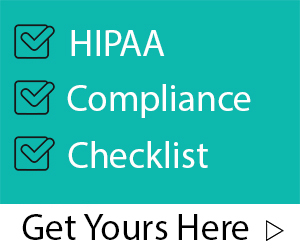 With online form providers like JotForm offering HIPAA compliant webforms, it makes it possible to replace this outdated workflow with a solution that vastly improves patients’ exerpience with your organization. Here are five types of forms you can digitize to immediately see a positive impact. Best case scenario with a paper registration form is that you make it available on your website for download. The most cooperative of your patients will print it at home, fill it out by hand, and then remember to bring it in with them to your clinic. It’s more likely that they won’t even realize you offer downloadable registration forms, or don’t care to print them. Then they spend 10 minutes or more clogging up your waiting room so they can get all of their information scribbled down on the clipboard you hand them when they walk in. Providing your patients with an online form link before they walk through the door allows them to complete it with ease ahead of time. And if you’re using a mobile friendly form solution, even better. It allows patients the ability to send their information from anywhere. Even if you’re the best medical practitioner in the entire world, it won’t matter if your business isn’t making money. Removing any obstacles stopping your patients’ ability to pay you quickly is absolutely imperative. And in today’s world, patients expect an easy way to pay their bill. One of the easiest ways to collect payments from your patients is by offering the ability to pay through an online form. Whether your form lives permanently on your website, or it’s something you send out as a link, it can simultaneously collect any pertinent patient information while processing the payment. It’s essential to make it comfortable and simple for a parent to sign consent. Luckily, you don’t lose the ability to collect legally-binding signatures when you switch to using online forms from paper. Just add an e-signature field, and the signature shows up in your inbox. You can even automatically send along a copy of the signature to the patients who signed it by asking for their email address in the same form. Patient feedback is an absolutely critical component of running a successful clinic, and more importantly, it allows them to feel heard. By using online forms, you can send the feedback form link by email so the patient can fill it out at their leisure. No downloads. No printing. And nothing gets dropped in a mailbox. You benefit by seeing more feedback come your way, and the ability to have all of your patient feedback information neatly organized online. One iPad with a digitized health assessment questionnaire will pay for itself in a matter of months with all the paper you’ll save. The real benefit is in how easy it is for a patient to quickly touch the screen to give their answers. And by using an online form, you have better access to the assessment data you collect. If you ever wanted to find trends for common ailments among the patients in your clinic on the whole, you can easily pull aggregate data from an online form system and be able to make more informed decisions for the type of services you provide. Whether your practice is big or small, digitizing your system for collecting patient information securely will save you and your staff countless headaches, time, and money. And the list goes on for use cases. You can even use online forms to distribute a notice of privacy, schedule appointments, and generate new leads.